In the end, Luke Skywalker’s words in one of The Last Jedi’s theatrical trailers proved to be true, and Rian Johnson’s new Star Wars film (which debuted worldwide on December 15) makes it clear early on that “this is not going to go the way you think”. Actually, it’s obvious the director has fun bending and twisting Star Wars cannon to his liking, and this becomes evident early on in the movie. The meeting between Luke Skywalker (Mark Hamill) and Rey (Daisy Ridley), the Force prodigy’s first encounter with a man who’s likely the most important Star Wars character of all time, certainly doesn’t go the way you think. 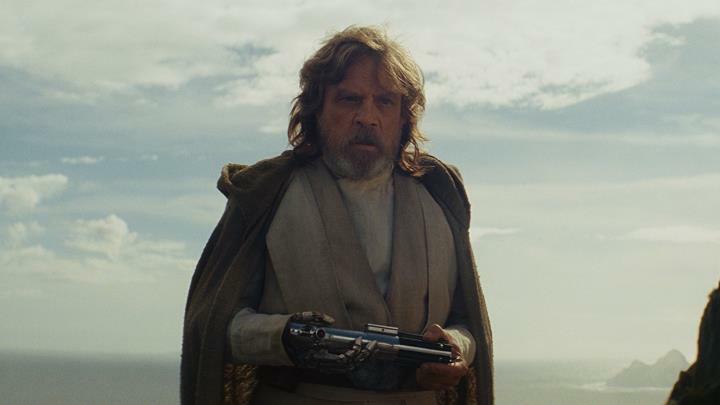 Luke’s reaction after Rey hands him the lightsabre might surprise you, as it’s clear pretty soon in this film that The Last Jedi does not take itself seriously at all, and treats the source material with the sort of contempt that true Star Wars fans might not like. Actually, actor Mark Hamill did say at some point that he fundamentally disagreed with director Rian Johnson’s vision, who was also behind the movie’s script. There’s also the matter of all those loose ends that were left unresolved in 2015’s Star Wars: The Force Awakens. Because not only does The Last Jedi not make any attempt whatsoever to explain important details such as why Rey is so strong with the Force or who villain Supreme Leader Snoke really is and where he came from, but the movie also stumbles when it comes to revealing important information such as who Rey’s parents were. In that film Brooks had a field day making fun of the Star Wars universe and its characters, and sadly the truth is that Rian Johnson also appears to have fun doing the same in The Last Jedi, while also injecting Marvel-style humour to a movie that doesn’t need it. And not only is the humour here ill-fitting and slightly inadequate for a Star Wars movie, but you will also see familiar characters doing the kind of thing you wouldn’t expect them to do in a film taking place in a galaxy far, far away… Actually, at some point in the movie you see a character like Leia (Carrie Fisher) doing the kind of thing you wouldn’t expect her to be able to do at all based on what we’ve seen of her in Star Wars to date. The movie’s new characters include a sinister guy known as DJ (who’s played by Benicio del Toro), who meets Finn (John Boyega) and newcomer Rose (Kelly Marie Tran) in a pretty long sequence taking place on the planet of Canto Bight. There’s a luxurious casino there and admittedly this section of the movie does look spectacular, even if this location does feel slightly out of place and not really appropriate for a Star Wars movie. And Benicio del Toro’s character doesn’t cause a great impression, and neither does Kelly Marie Tran’s uncharismatic performance help endear me to Rose all that much. There’s also actress’ Laura Dern’s Admiral Holdo, who turns out to be an incompetent and ambivalent Resistance leader, with Dern’s talent being wasted in Rian Johnson’s movie too. 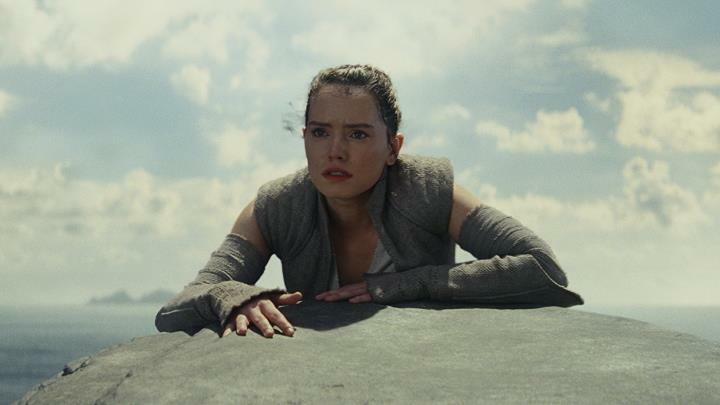 Because while George Lucas’ much-maligned Star Wars prequels were criticized for their bad dialogue, overblown CGI and risible moments, the sad truth is that Star Wars: The Last Jedi does suffer from the same maladies at times, with Daisy Ridley’s character Rey sadly getting some awful lines here, and the no doubt very expensive special effects Disney had commissioned for this movie never ever eliciting a sense of wonder, although at least the movie never falls to “midi-chlorian” blunder territory like George Lucas’ prequels did. Don’t get me started on those annoying Porg creatures though, Star Wars’ biggest blunder since the furry little Ewoks annoyed the hell out of so many viewers back in the 80’s. This is in sharp contrast to J.J. Abrams’ The Force Awakens, which was respectful to the source material, and despite being heavily based on 1977’s Star Wars: A New Hope, got the Star Wars feel completely right. Because while viewing Star Wars: The Last Jedi I couldn’t help but think that Disney had given the director’s chair to a guy who simply doesn’t like Star Wars, and in his attempt to make the Star Wars universe his, Rian Johnson has made something that might have very well ruined Star Wars for many, instead of coming up with the next Empire Strikes Back as many fans had hoped. It’s a good thing, then, that Disney has already announced that Abrams will be returning to direct the upcoming Episode IX, although I’m slightly worried by the fact that the Mickey Mouse company is planning to give Rian Johnson an entire Star Wars trilogy for himself, taking into account I’m not at all fond of the director’s vision for Star Wars. Here’s hoping, though, that J.J. Abrams is able to right the ship with Episode IX (which will be hitting theatres sometime in 2019), and that Star Wars: The Last Jedi turns out to be a one-off movie in the franchise and future Star Wars films are able to recapture the magic which has made these movies special for millions of viewers worldwide.